Filing for divorce in Ohio can be a tedious process. Since this process involves family matters, there are many things that can make a divorce more complicated and difficult. In many cases, divorces are over in just a few months. However, there are some things that can cause a divorce to take much longer than usual. Hiding assets: It is important to disclose all vital information because hiding assets can cause a delay in the divorce. Child custody: If child custody and visitation arrangements are violated, then this can also complicate the divorce. You and your ex-spouse will have to split up the property according to the terms that were outlined in the settlement. Both parties are responsible for turning over any property or assets that they owe to the other spouse. If you are changing your last name, then you will have to update this on your Social Security card and driver’s license. You will also want to let your employer, the child’s school, bank, and utility companies know about the name change. If you and your former spouse were on the same health and life insurance plans, then you will need to let those companies know about the divorce. You may also have to update your will and retirement plan. An Ohio divorce attorney can help you update your documents. Divorces can get messy. That is why you need the help of an attorney. 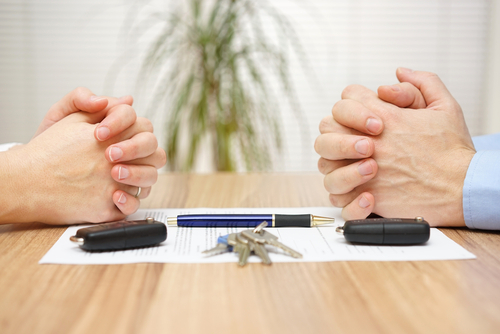 Your Cincinnati divorce attorney can make sure that you understand Ohio state divorce laws.